A balustrade is an architectural component many of us take for granted – but without them we’d be in trouble. They’re the vital element to the construction of stairs that prevents us falling from the great heights our staircases can take us to. They’re the uprights that line staircases, terraces, bridges and quayside railings by the sea – and essentially a balustrade is a row of vertical columns topped by a handrail. The most common decorative baluster has a rounded bottom and tapered top, and it generally rests on a stand. A line up of a series of these balusters supporting a railing pushes a cluster of balusters into what is known a balustrade. And they’ve been around for a very long time. The term balustrade comes from its constituent, upright posts, which are called balusters. Curiously, this name has its roots in blossoming pomegranate flowers, which in Italian are called balaustra. In fact, the name was coined in 17th-century Italy because it was felt the balustrades designed then resembled these bulbous flowers. Aside from stopping us from falling down the stairs, balustrades also serve the purpose of creating privacy by cordoning off certain sections of buildings – a gilded balustrade marks out the king’s chamber at Versailles, for example. Without balustrades we would never have been treated to Shakespeare’s Romeo and Juliet balcony scene – or it might have ended very differently! 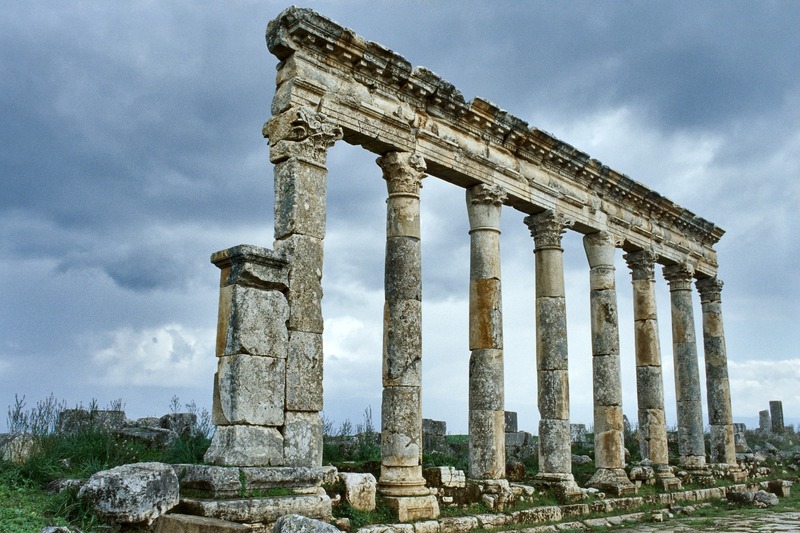 But prior to medieval balustrades, the colonnade of ancient Greece and Rome was prevalent. Here, ensembles of columns were built which not only created visual harmony but structural support to their buildings – marrying beauty with function. Later, during the Renaissance, architects went column-crazy, fascinated by the benefits of Classical architecture, and the geometric designs of the ancients. The Classical masters were copied incessantly, and to the inevitable degree that creative and innovative experimentation with the structure began. It is in this way that the original, massive structure of a colonnade was transformed into the balustrade, sustaining a Classical architectural touch for perpetuity. Stairs themselves are ancient, and believed to date back to 6,000 BC, when wooden notches were hewn out of solid tree trunks to facilitate escalation to higher levels – a bit like a primitive step ladder. And no balustrade. Stairs made of stones also date back to earliest man’s development. Later, spiral stairs were constructed in ancient castles and churches – again, without balustrades. And as the construction of buildings became taller and bigger, so too – before the invention of the lift – did the stairs. You can only imagine early notions of health and safety – and the dangers of falls from height – began to develop as a consequence of injuries and fatalities these early structures brought with them, bringing the development of balustrades to the fore. The balustrade is an architectural component which can be designed to perfectly marry beauty with functionality. Depending on the materials they are constructed from, they can range from massively ornate to bold and industrial looking. 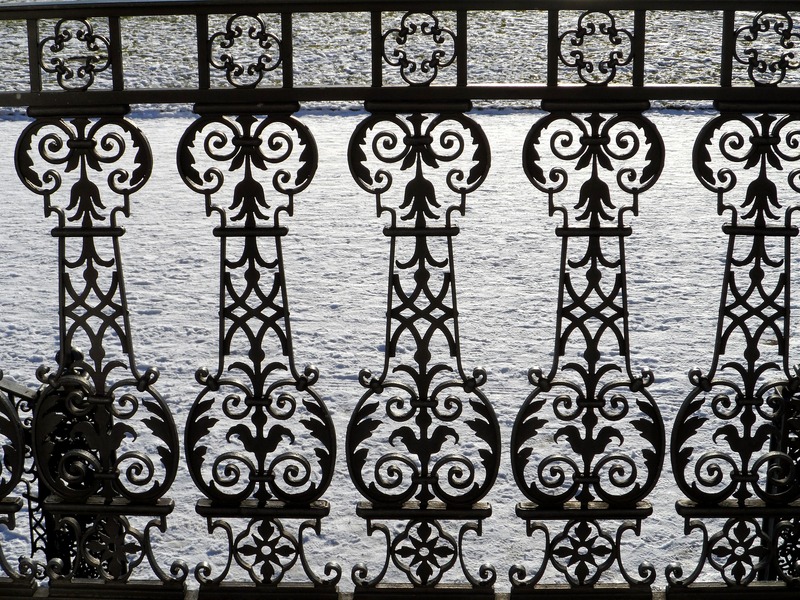 As the photographs below indicate, protection from falling in the water is offered by both the ornate, cast iron balustrade and the bolder, modern steel balustrade. As with any architectural consideration, choice is ultimately driven by matters of taste and fashion. Another technical component that contributes to the balustrade’s design includes the handrail – which is the horizontal lintel-like structure that is supported by the balusters. This is obviously the part of the balustrade that is designed for us to hold on to as we ascend or descend a staircase, to give us enhanced support. On the other side of the coin – or the balustrade – you can also find a secondary horizontal element called the footrail. Lastly we have banisters – and essentially a banister and balustrade are the same thing, except a banister is a balustrade designed specifically for a flight of stairs. The word banister is just a slight alteration of the word baluster, and essentially means the same thing. Balustrades not only serve a practical purpose, but can act as stunningly decorative architectural features. An essential element in the design of your house, our bespoke wooden stairs incorporate numerous approaches to balustrade construction. Ours come in a huge variety of shapes and materials, from simple wood posts to elaborate wrought-iron spindles through to elaborate, artistic metalwork for staircases inside and outside your home. And just as the Classical architects did, we marry perfect beauty with functionality. Whatever finish you had in mind for your staircase, please get in touch. We’d be really happy to help you reach the right decision. Now you’re clear about what a balustrade is you’ll be fascinated to read about many other stairway associated terms – you’ll be practically an expert if you read this blog.